The Wall Street Journal is reporting that the next generation of iPhone will feature USB-C.
For the longest time, to the chagrin of anyone who favors an industry standard for charging cables, Apple has pushed its own proprietary "Lightning" technology on all of its computers, tablets and phones. Well, according to a report from the Wall Street Journal, the tech giant may be switching from Lightning to USB-C in the next iPhone. The exact wording of the article is still a little ambiguous, however. 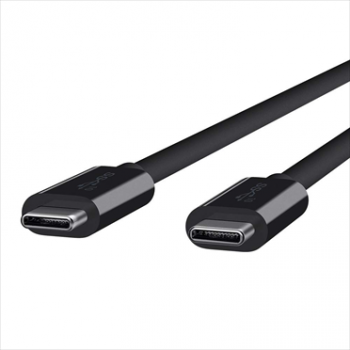 It states that the new iPhone will feature "USB-C port for the power cord and other peripheral devices instead of the company's original Lightning connector," but that could be referring to the other end of the cable (the one that plugs into your computer) which is currently the industry-standard USB-A. Either way, the move makes sense. The company has already adopted USB-C on its MacBook line, and the two standards share some key features, including reversibility. The rest of the report features some additional rumors about Apple's 2017 lineup: it will consist of three new iPhones including updates to 2016's phones and a new premium device, one of the handsets will have a curved screen, and at least one of them will feature OLED technology.